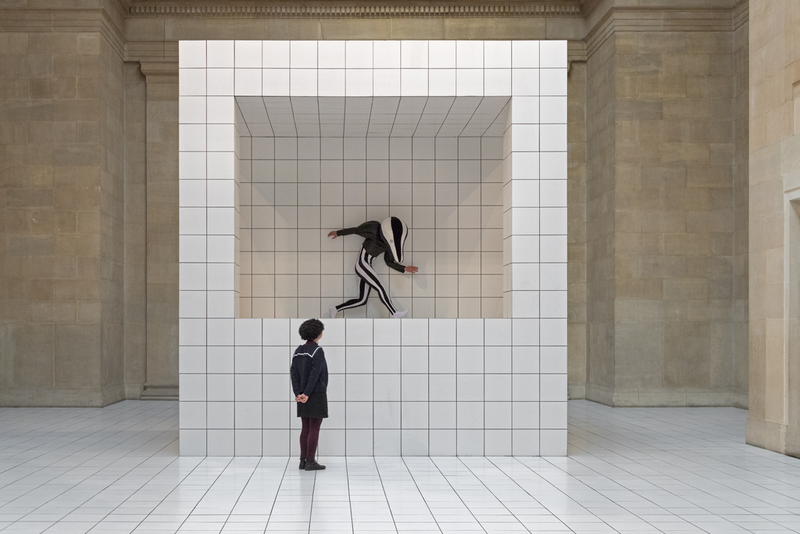 1,300 square metres of Schlüter®-DITRA 25 uncoupling membrane is ensuring a crack-free finish for the tile within 2016 Turner Prize nominee Anthea Hamilton’s recent commission for the prestigious Duveen Galleries. One British artist a year is invited to produce a new work for the signature space, which constitutes the heart of one of the UK’s most famous art galleries. Hamilton’s response, entitled ‘The Squash’, combines performance and sculpture in an immersive experience. The installation involved tiling the length of the Duveen Galleries. Contacted by curator Linsey Young, Schlüter donated its market-leading uncoupling membrane for use beneath the white tiles laid above the galleries’ terrazzo floor. The Schlüter®-DITRA 25 was installed and tiled over the days and weeks in the run-up to the exhibition opening on 22nd March. Creating a striking contrast with Tate Britain’s neo-classical architecture, the commissioned work will remain in situ until 7th October, following a 6-month run anticipated to attract around 700,000 visitors. 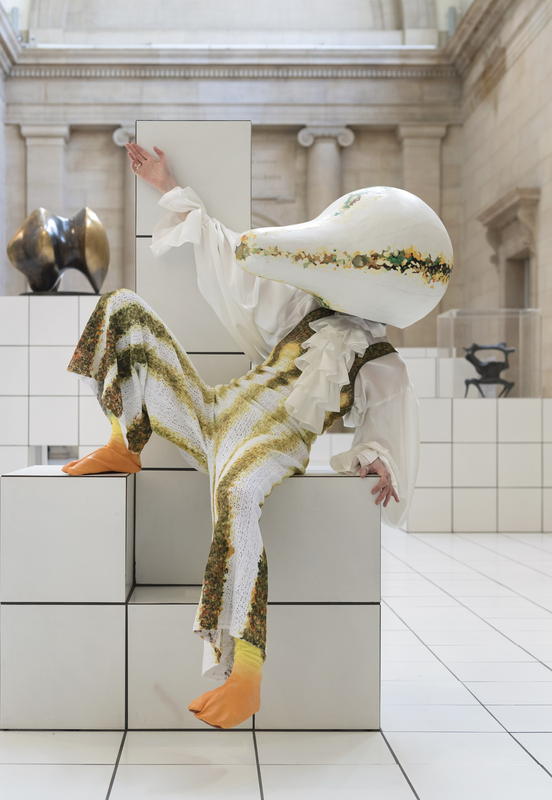 One performer per day takes to the tiles from 10am-6pm, clad in their choice of one of seven costumes designed by Jonathan Anderson, Creative Director of luxury clothing and accessory brand, Loewe. All are inspired by different types of squash and pumpkins, taking their lead from Hamilton’s initial source of inspiration for the commission: a 1960 photograph that she discovered several years’ ago, capturing a scene from a dance by American choreographer, Erick Hawkins. The project marks Schlüter-Systems’ second involvement with Tate Britain; in 2011, the company was engaged as part of a £45 million renovation of the Grade II listed Millbank building, led by architecture firm Caruso St John. The renovation involved the creation of new education and events rooms, including the art gallery’s Djanogly café and opened in November 2013. DITRA 25 was again utilised, on this occasion for uncoupling provision beneath agglomerate stone or unglazed porcelain floor tiles, dependent on the rooms and areas in question. Cement-free tile backerboard, Schlüter®-KERDI-BOARD, can be found supporting wall tiling in the WCs and kitchens; Schlüter®-DILEX movement joints, in a number of variants, can be seen within the floors and walls of these areas, helping to maintain crack-free coverings. 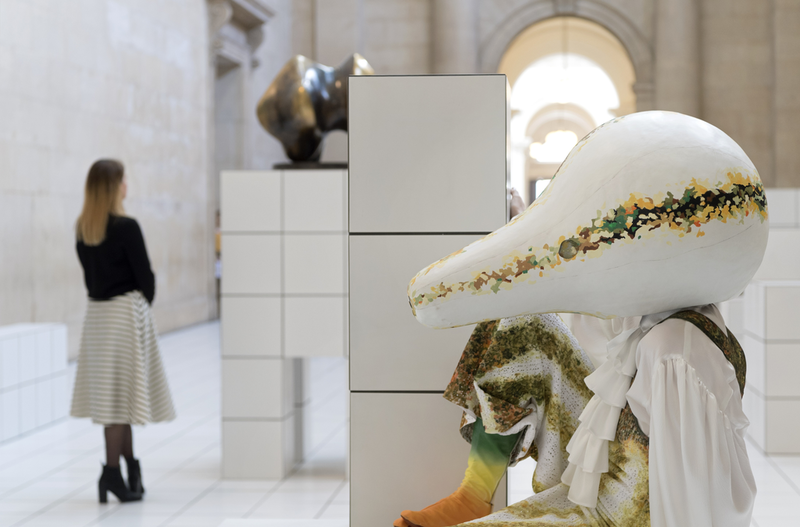 Whether supporting a renowned artist through sponsorship or providing solutions for permanent features, Schlüter-Systems is delighted to play a role in the endeavours of Tate Britain. 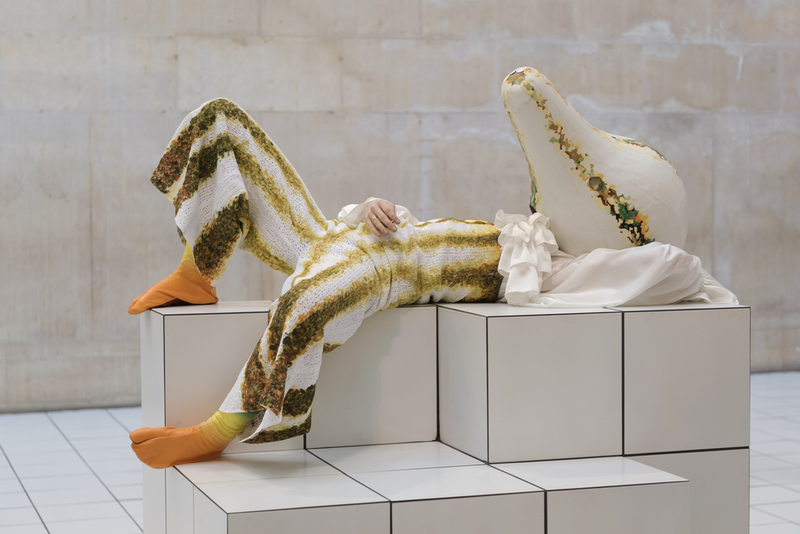 Read more about Anthea Hamilton's 'The Squash' on the Exhibitions and Events page of the Tate website.